If there’s one thing Insite Graphics stands for, within the universe of print, it’s innovation. We continuously strive to deliver something a little bit different to our customers, and that’s why we always love going to EuroShop. 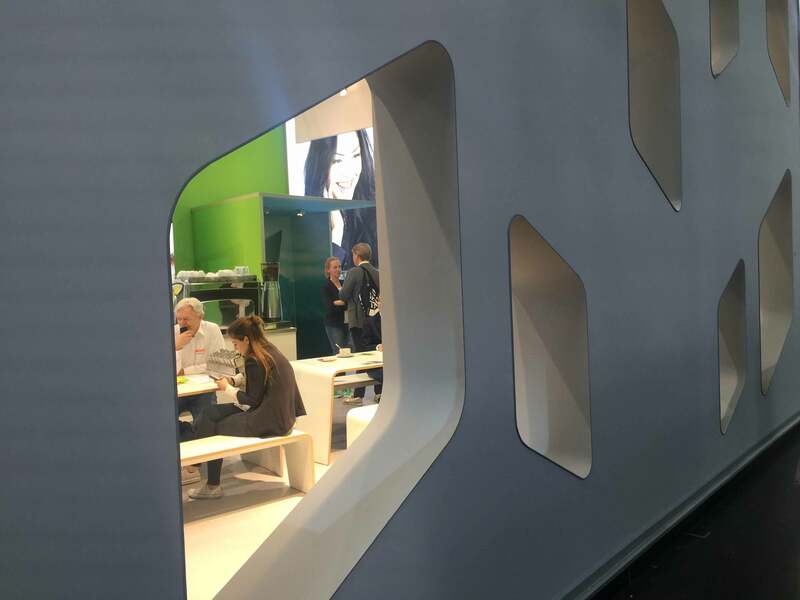 This year’s EuroShop was bursting at the seams with creativity and off-the-wall thinking, including a ceiling made from dangling screwdrivers, extraordinary lighting effects and the creative resurgence of wood as a visual feature. 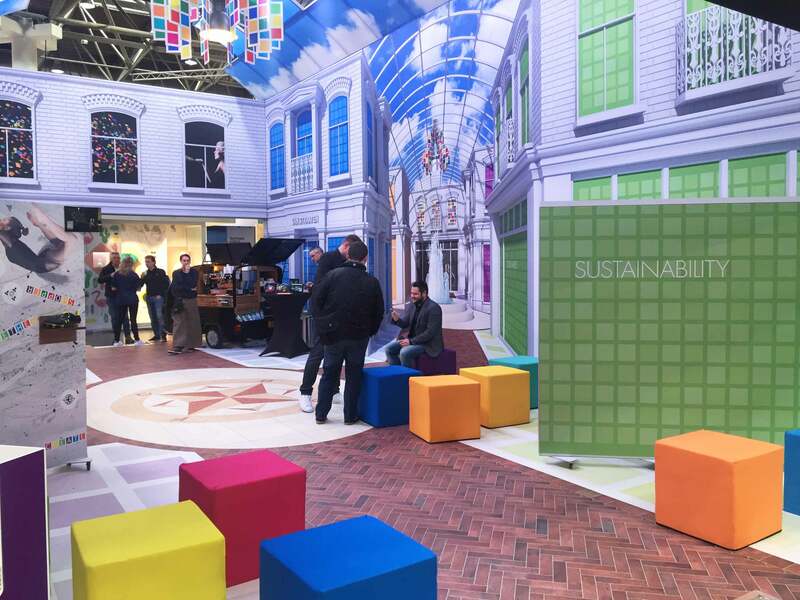 In more than one instance we’ve broken out in wide grins when approaching stands at EuroShop, because someone has applied that extra touch of genius to make their exhibit visually unmistakeable and instantly memorable. The challenge of packing all of these fantastic concepts into one blog post is a tricky one, so we have picked the ones that really leapt out from a strong field. So, after the ceiling of screwdrivers what comes next? 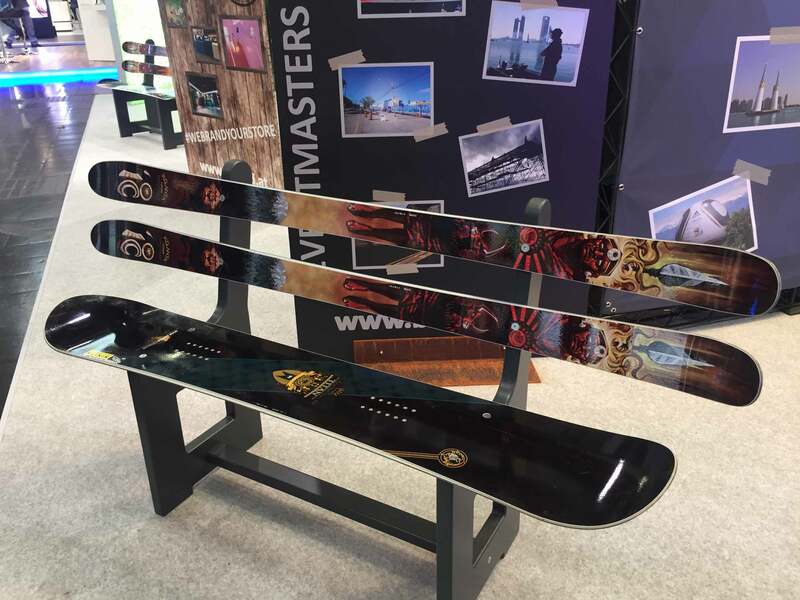 How about a winter sports shop fitter making their stand seating from a snowboard and two skis, creating a bench that is so on brand it was perfect. On a larger scale there was a very clever use of perspective, the stand was not especially large and because it was mostly enclosed it may have seemed a little claustrophobic. However, a large-scale graphic on the wall of a courtyard off the main floor area suddenly gave the impression of a greater space, sky and clouds added to the effect and the whole theme was tied together with ceiling high graphics that created a piazza. 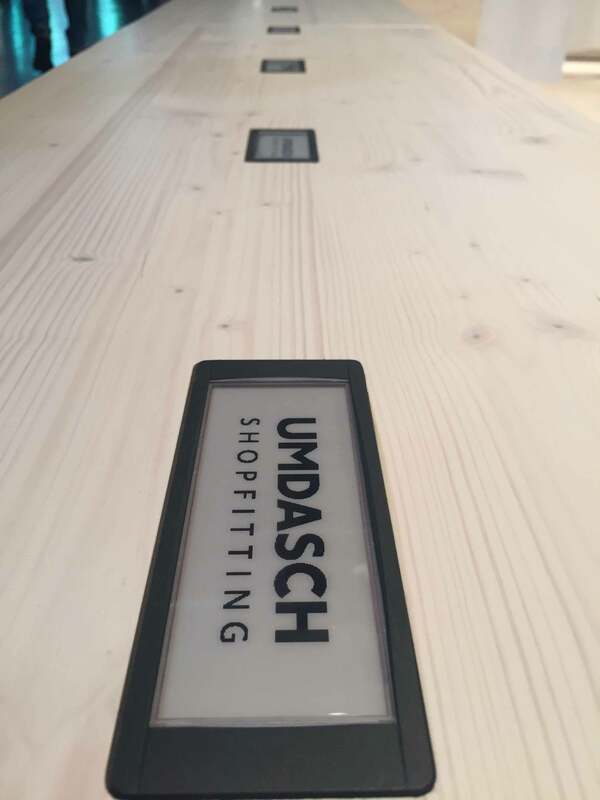 I mentioned the use of wood in a previous blog and some of the nice laminate finishes in view, one stand had some large areas of laminate and to break the sheets small illuminated logos had been inlaid, effective and simple. On the subject of large areas of unbroken wall, another stand had what could have been a large blank wall. Usually most stand designers would have applied some graphics and branding, however, on this particular stand the designers had created some very attractive cut outs permitting small windows into the stand on the other side, both tantalising and inviting. Because EuroShop also caters for the retail industry there is the usual array of mannequins on display but one exhibitor went just that little bit further with their own terracotta army of dogs! I couldn’t say for certain that they manufactured these to display coats for pets but the effect was striking and it stopped visitors in their tracks, presenting an opportunity to engage prospects. Seating areas on stands are often just seating areas, usually populated by the same ranges of hire furniture appearing on many other stands in the show. Some exhibitors may opt to purchase their own furniture, and some go the extra yard. Oil drums have been used for everything from barbecues to musical instruments, this particular exhibitor had taken a different direction by creating stools and tables from them. Not wholly new I admit, but the execution was what made them special. It was that the stools were small drums with a padded top and the tables were larger drums with glass windows in the sides and a raised glass top, with a fire effect inside that grabbed the attention and made the seating inviting. Stand flowers can be a hit or miss depending upon the florist and how the flowers are displayed. Too often we see them plonked on a stand as an afterthought once everything else has been finalised. 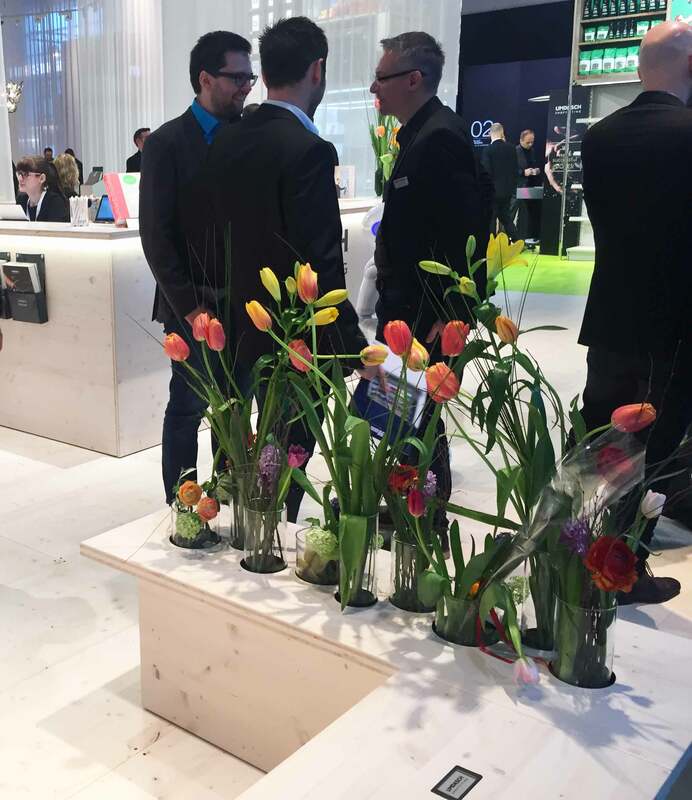 There was one stand that had incorporated the florists art from the outset, with specific recesses cut into the stand to accommodate vases and flowers they looked like they were part of the overall stand design. 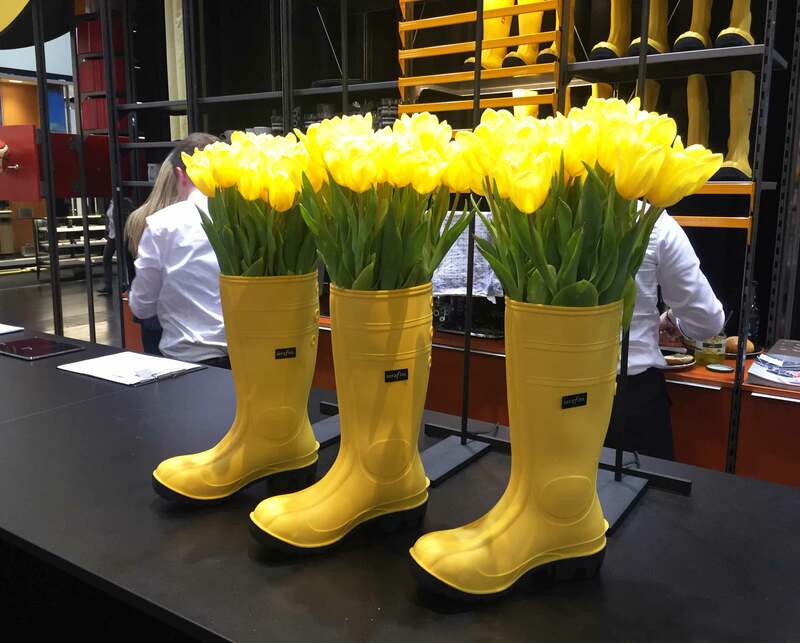 However, the biggest grin was saved for the simplest idea of them all, bright yellow wellington boots used as vases to hold large bunches of daffodils, bright striking and amusing, all in one. 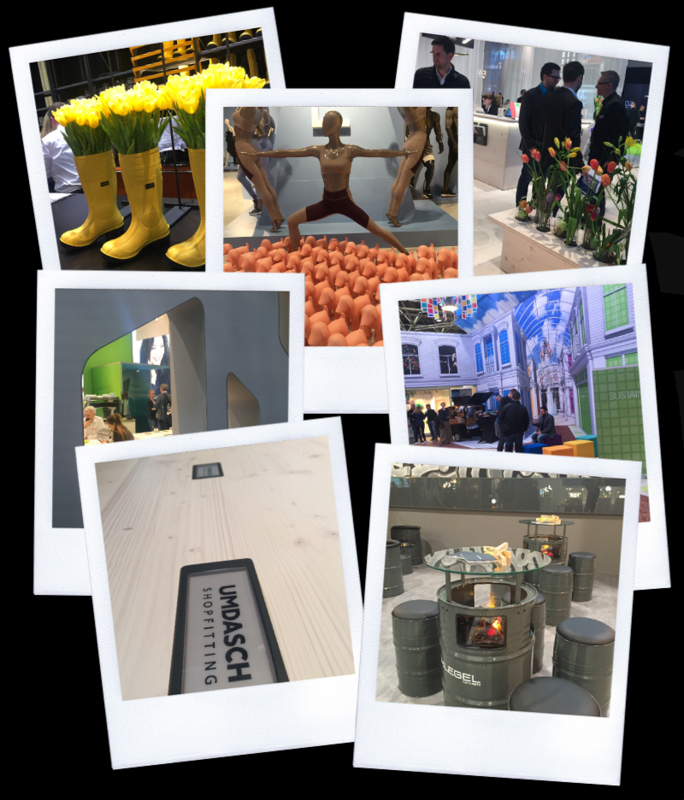 There were so many brilliant ideas, designs, examples of creativity and the art of making stands that little bit extra special on display at EuroShop 2017 it is hard to list them all. We took inspiration and ideas from the show, it fuelled our creative thinking but left us a little disappointed that we do not have such a vibrant show for our industry in the UK. Is there an organiser prepared to play the very long game of building a show on a four-year cycle that showcases the very best the UK has to offer, I hope so. ← Wooden it be nice?